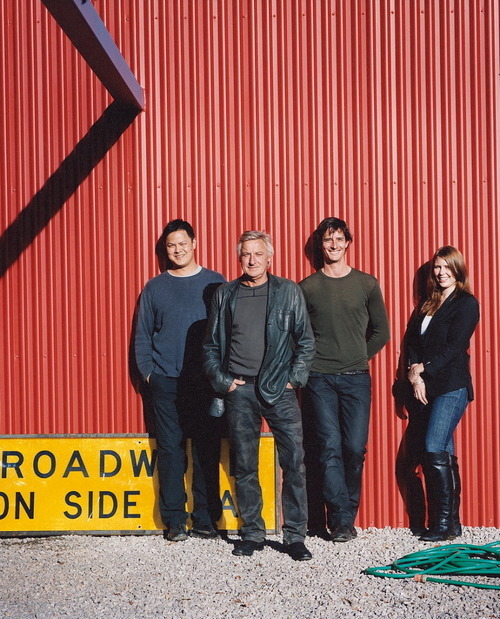 Three talented landscape architects – Creative Director Rick Eckersley, and Principal Designers Myles Broad and Scott Leung, are eckersley Garden Architecture (E-GA) and they’re supported by office and marketing manager Sarah Appleford. Scott, (above left) who spent a few busy weeks preparing for their innovative display at MIFGS , finally had a chance to chat with us about a family garden E-GA designed in Canterbury, which opened for the Melbourne Garden Design Fest in spring. Statice blooms provide a long-lived splash of colour in spring and summer. The ‘grande dame’ – an English oak – is accompanied by mass planted oak-leaved hydrangeas and hellebores, and a low growing English box hedge. 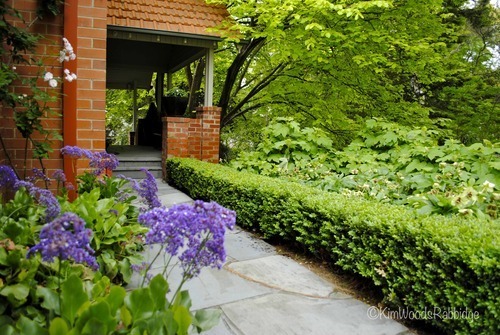 From the street passers-by are able to *enjoy the verdant setting which enhances the Federation home. 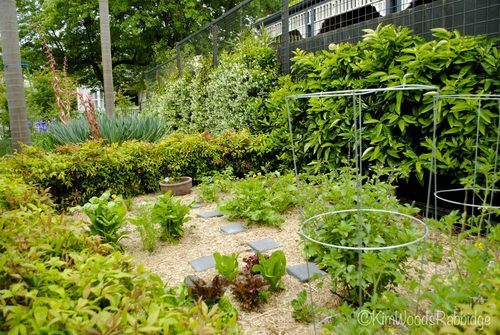 *Too many of our cities’ gardens are hidden behind high fences so it’s always a delight to see a streetscape with beautiful gardens in view, surely augering well for a friendly, caring community. 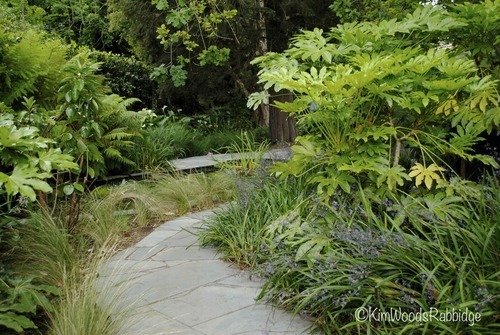 On either side of the path, deeply-lobed Fatsia japonicas (Japanese aralia) are skirted with strappy leaved Paroo lily (Dianella caerulea), coastal spear grass (Austrostipa stipoides) and maiden grass (Miscanthus sinensis ’Gracillimus’). 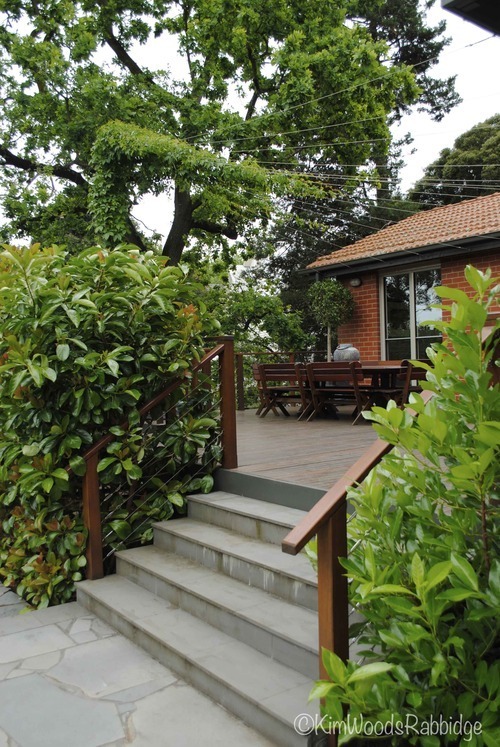 When E-GA were approached, the garden site had been somewhat unkempt and unusable; the challenge was to address varying levels allowing access and of course, functionality. 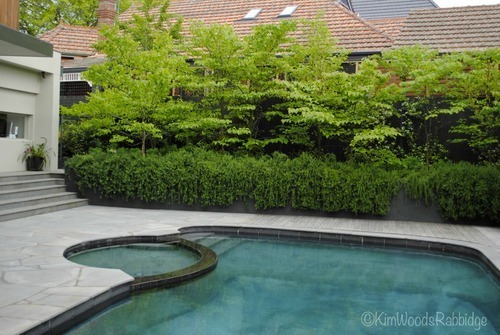 An existing pool was unattractive, with poor quality finishes, and the lower area was overgrown. 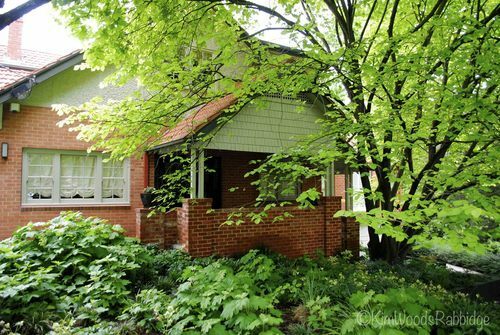 “However it did have wonderful assets: mature trees and a natural waterway. The levels were a challenge but made the project rewarding,” says Scott. Now, on the lower side of the house, subtle yet stylish slate paths lead through a ‘designed’ wilderness; an area the younger members of the family must love for play. Fresh fronds on the soft tree ferns (Dicksonia antarctica) are highlights amongst pondside plantings. Although simple, and open, this Persian style structure defines a spot where the table and chairs are placed. In summer, the climbing clematis provides light shade, and in winter, sun streams through. 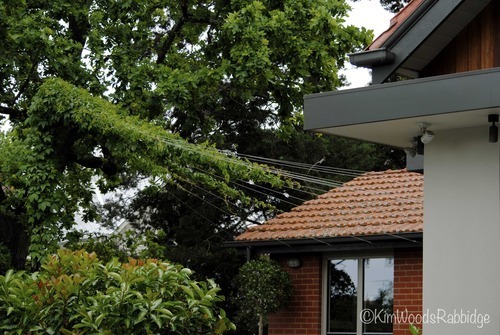 Cleverly, from a pivotal point at one corner, high tensile wires fan out to meet the eves, providing the perfect support for Virginia creeper. Sweet viburnum, (Viburnum odoratissimum ’Awabuki’) borders the deck and helps define the space. The raised timber terrace is part of a contemporary addition to the home. 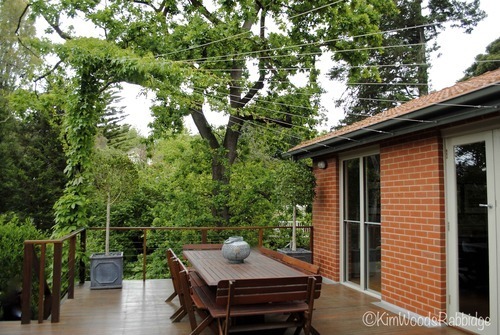 Not only does it provide extra entertaining space for the large family with young children, as it’s adjacent to the home’s living area, it’s perfect for spontaneous outdoor barbecuing, and dining. 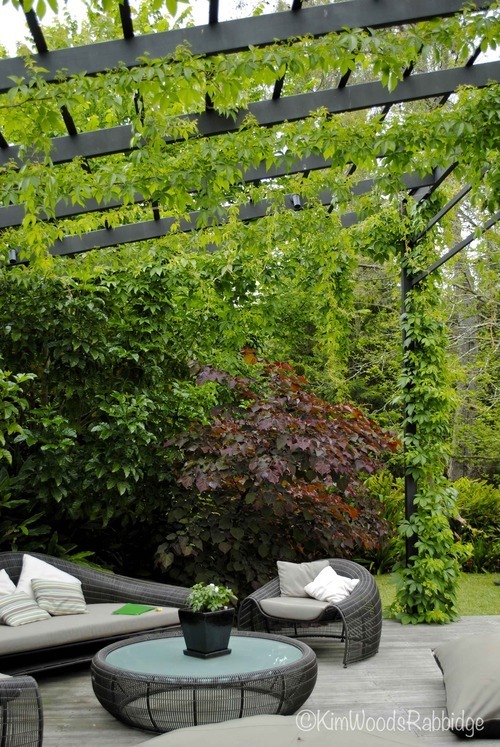 At the far side of the pool, expansive, natural timber decking and a generously proportioned Virginia creeper-covered pergola create a spacious setting. Furnishings in muted tones reinforce the serene ambience, which is further enhanced by the verdant New Zealand puriri (Vitex lucens) backdrop. Forest pansy (Cercis canadensis) is an elegant tree whose petite, bright pink spring blossoms are followed by beautiful burgundy heart-shaped leaves. 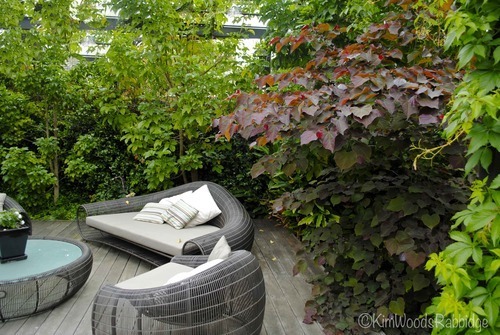 “Plant selection is inspired by a combination of both functionality and aesthetics. Textures in both plant form and foliage are what we tend to look at initially, followed by seasonal traits and flower colour,” says Scott. A row of deciduous Southern redbud trees (the standard form of forest pansy) bordering the fence, are underplanted with prostrate rosemary. Rather than an ‘addition’, the pool appears to be intrinsic to the garden – largely because of the rounded corners and slightly organic form. For E-GA designers, the ongoing involvement in landscapes they’ve designed varies. 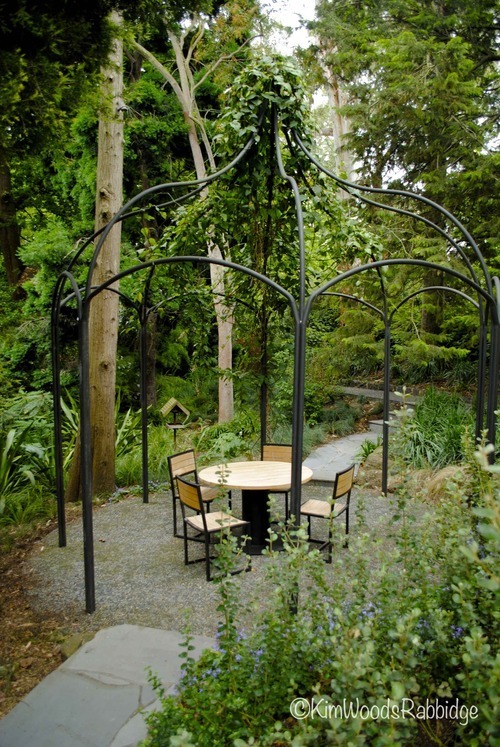 In some gardens they liaise with the owners or the maintenance teams and provide feedback. Dwarf Nandina domestica makes a cheery informal hedge around the family’s veggie patch, and along the back fence citrus are espaliered against a mesh screen. As the garden is relatively low maintenance the owners are able to enjoy some of the chores required, although they call in specialists for larger maintenance jobs. 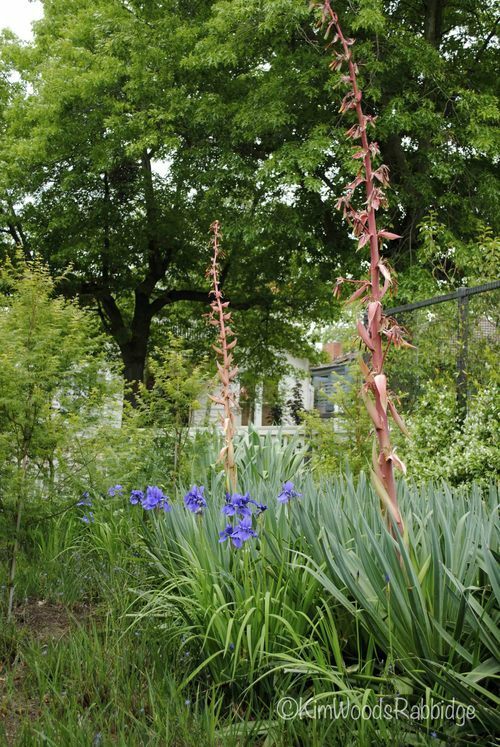 Silvery green foliage of Mexican lilies (Beschorneria yuccoides) are a foil for their quirky and dramatic blooms. 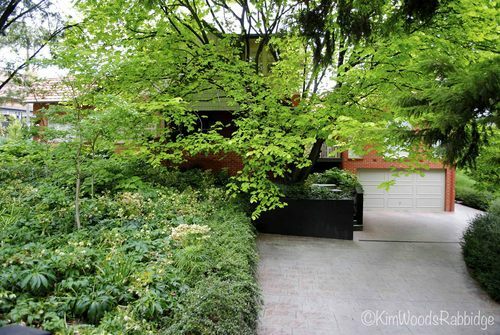 Overhanging branches and border gardens soften the driveway and garage entrance. 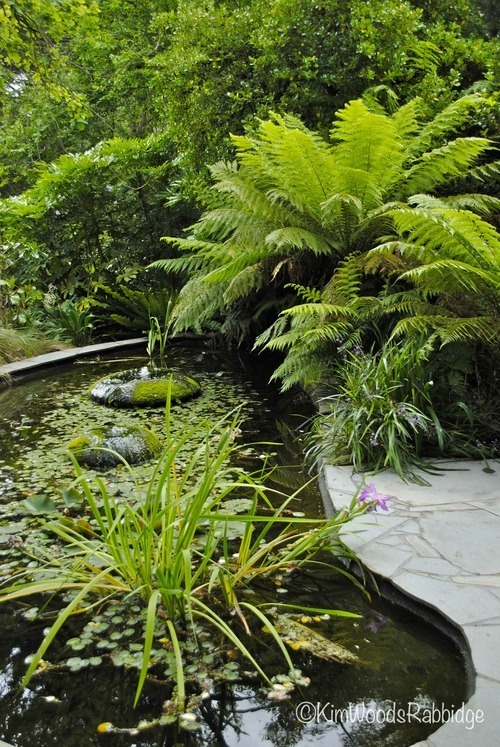 Apart from aesthetic and functional hardscaping, a wonderfully rich palette of plants is a signature of every eckersley Garden Architecture garden.